Heavy trucks, laden with construction materials, thud down Genessee Street in the West Bottoms. The trucks roll past storefronts covered in butcher paper and the old site of the Golden Ox, which is now set to be reborn in two stages with two businesses. First up is the Stockyards Brewing Company (1600 Genessee Street, Suite 100) – a new production brewery and taproom that plans to open in March. The second is a modern take on the steakhouse from Wes Gartner and partner Jill Myers, who own and operate Voltaire across the street. Outside the front door of The Golden Ox space, the sounds of hammering beat away the silence that has blanketed Kansas City’s Stockyard District for years. Bland moved to Kansas City in 2010 to work for Travois – his family’s consulting business that focuses on housing and economic development within Native American communities. He had been an avid homebrewer in Boulder, Colorado, inspired by the beer culture that has infused that community. So, he found a space in the West Bottoms, where he could brew beer and also tinker with building metal furniture. Bland watched as Kansas City’s beer culture began to evolve. He entered a home brew competition – the only one he’s entered to date – and took bronze for a Black IPA. Through homebrewing, he met Brendan Gargano, the brewery’s creative director, and designer of the Stockyards logo. And Bland began to think about what it would take to open a production brewery in KC. He talked to Kerzner, his former college roommate at the University of Colorado, and the two developed a business plan together. Bland began to scout potential brewery locations in the West Bottoms and Bill Haw Jr. mentioned that the Golden Ox space might be available. The Golden Ox was where Bland and his family would bring clients visiting Kansas City because it had the familiar feel of a Montana steakhouse. Stockyards signed a lease for the space in March 2015. Last summer, Bland met Micah Weichert, the brewmaster at Gordon Biersch, who previously worked at 75th Street Brewery. Weichert agreed to be a consultant brewer, helping to develop the recipes for Stockyards and run the brew house. The brewery will open with five or six beers on tap, including a scaled-up version of Bland’s Black IPA. The brewery is working on a German-style Hefeweizen and a Golden Alt – an homage to the Golden Ox – that will use golden malts in lieu of the more traditional Munich malt and have a more present hop character to balance out the brew. Weichert is excited what they’re calling a brunch stout. They’re also developing an India Pale Lager. “It’s like a blend of a really crisp Pilsner and a light summer lager with a good finishing hop aroma. It’ll be a great summer beer,” said Weichert. The brewing equipment arrived in September from American Beer Equipment in Lincoln, Nebraska, and was installed in December. The brewery will open with a 15-barrel system in the brew house, part of the former dining room at the Golden Ox. They’re considering canning their brews and making it available in kegs. 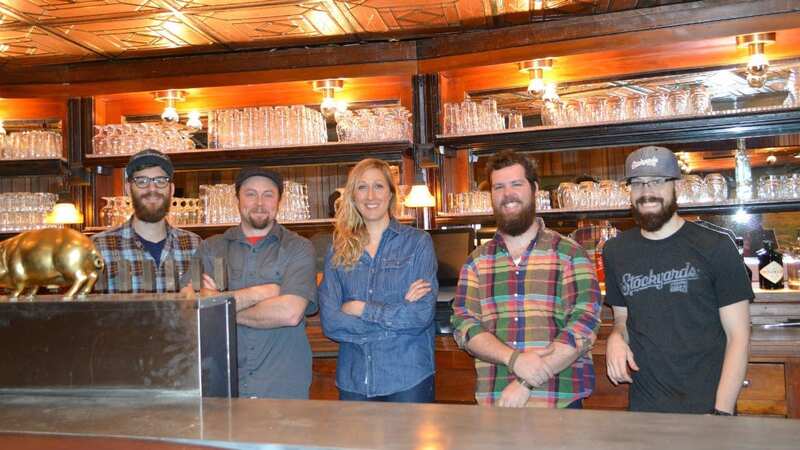 Melissa VanGoethem, one of the original founders of Coffee Girls, will manage the attached taproom. They’ll be serving flights, as well as full pours, but haven’t yet landed on a to-go option. On the food side, Bland has been chatting with Todd Schulte, co-owner of the Genessee Royale Bistro across the street. They’re looking at appetizers like a meat and cheese plate, pickled vegetables, or a black-eyed pea salsa. 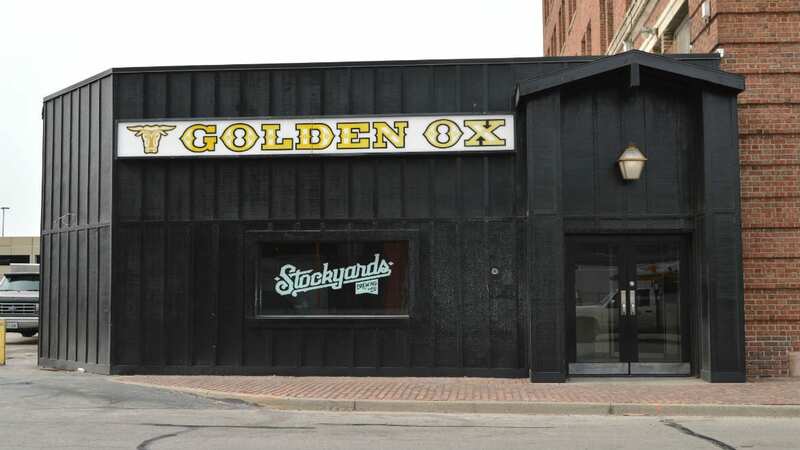 Stockyards would also like to have options available from the Golden Ox’s kitchen, when it reopens. The brewery will offer tours and will be open from Wednesday through Sunday to start. Correction: This story has been updated with the correct spelling of Micah Weichert’s name.